Redesign or no, Nintendo should keep the system's name to avoid scathing criticism. Yesterday's rumor mill produced some juicy Nintendo gossip concerning 3DS. According to a mysterious source within the company's Kyoto headquarters, the publisher may release a revamped 3DS sometime next year. What was especially interesting was the claim that the big N may re-brand the machine entirely and distance itself from the 3D feature that, up until this point, has failed to excite the gaming world at large, primarily because of bad side effects (headaches, eye strain) and the unflattering press that followed. If this is true, the name "3DS" may cease to exist, with the new machine receiving a completely different title. Doing this, though, would be a horrible idea. 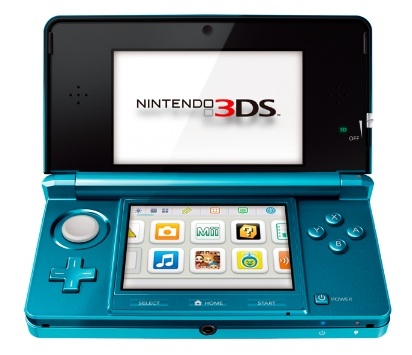 3DS makes reference to one of the system's most criticized features, glasses free 3D. We've had issues with the name 3DS since Nintendo unveiled the handheld during its E3 2010 press conference. It makes sense, given the portable's capabilities, but it also sounds too much like DS. That opens the door for buyer confusion, where less savvy gamers (or non-gamers) fail to see how this device is much different from the one they and/or their loved ones own. They may view it as a new DS, similar to DS Lite, DSi and DSi XL. Nintendo, meanwhile, made the situation potentially worse by releasing a handful of games, most of which don't take full advantage of the unit's power. Ultimately, Mario and Co. took the 3D gamble in the hope that consumers would respond positively. Sadly, that hasn't been the case. Thing is, the publisher's stuck with the name. Yes, Nintendo always has the power to change it, but that doesn't mean it should. Ditching "3DS" would not only create more confusion among shoppers, but it would also show more weakness from a company that already slashed the price of the system $80 and announced a plan to give away 20 free video games to those who purchased the machine at $249.99. Switching names essentially communicates that 3DS in its current state was a failure. Of course, for all we know, this rumor could have no merit whatsoever, and the 3DS moniker will remain intact throughout the handheld's life. That said, what do you think? 3DS...yay or nay?